People say it is too hard for just anyone to paint and only ‘real’ artist born with the skill can produce good work. I started the ‘Will Kemp Art Studio’ to prove that this is just not true. Prior to painting full time I’ve worked in Museums, taught in schools, set up and ran my own gallery for 5 years and have taught hundreds of people to paint and draw over the last 15 years. I really think Missy has done incredibly well. The jug shape and form is spot on and the glow on the lemon is lovely. I like the way she has managed to keep colours in the shadow of the lemon yet still keep the tone correct, really nice painting. “I just didn’t know where to start.” I feel like I’m getting the base that I have been looking for. I’ve been trying to start painting for years and keep getting frustrated and stop. I’ve also taken other painting classes and haven’t learned what I have really wanted to learn. I think the way Svetlana has painted the detail and sensitivity on the cup is lovely, I especially like the way she has painted the lemon slice, students often paint it too bright but she has handled is really well. The spoon is also particularly elegant, a brilliant job of her first painting! I don’t know what to paint! I’ve developed “The Art of Acrylics” to help aspiring artists to fulfill their creative potential and overcome these creative stumbling blocks. The Art of Acrylics is your step-by-step guide to getting started in acrylic painting today. 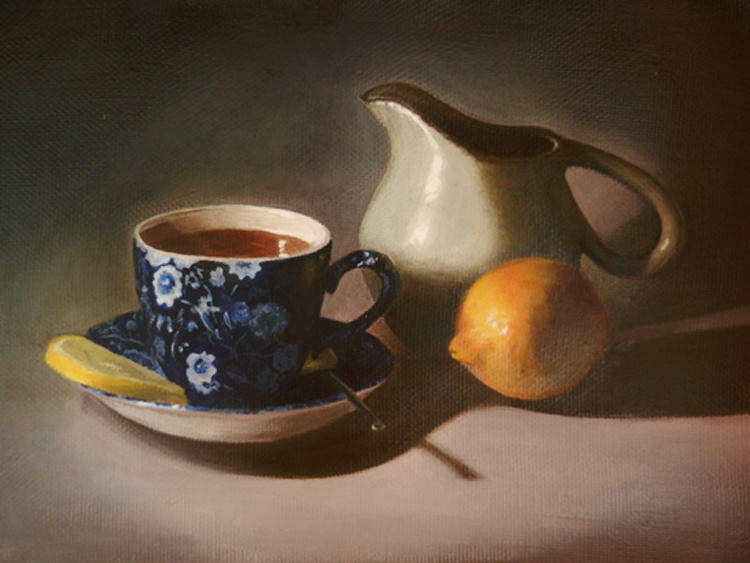 This 12 part course will provide you with a complete methodology for creating professional, beautiful, still life acrylic paintings. 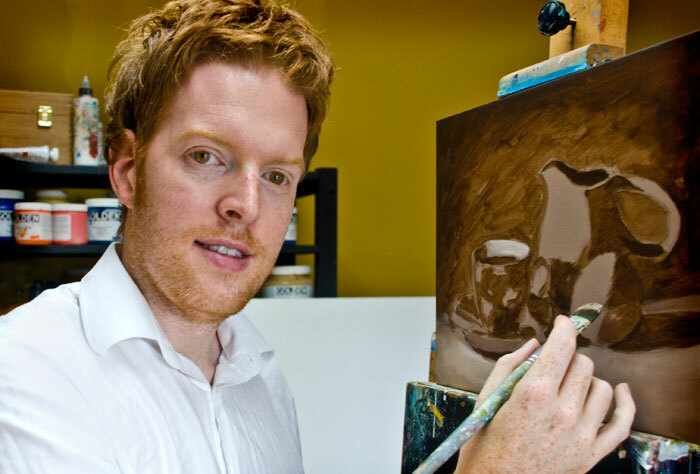 How to create still life paintings with over 2 1/2 hours of tuition with artist Will Kemp. How to prepare your canvas, block in colours, and accurately mix colours. How to use glazing & mediums to create a professional finish with quick and easy tools. Seven Painting Success Principles for acrylic painting. 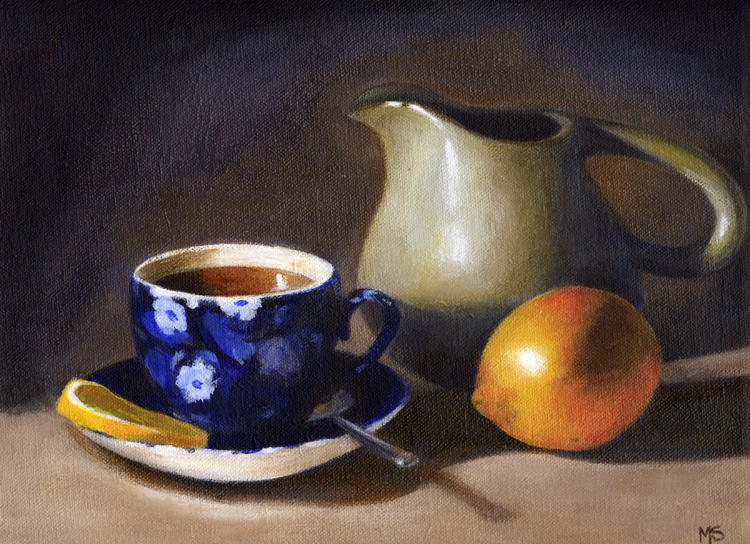 Your blueprint for creating professional acrylic still life paintings with the ‘wow’ factor. All videos can now be downloaded to your computer – for working in your studio without the need for an internet connection.